The aim of the Museum is to study and spread our coutry’s monetary history and the institutional history of the Central Bank. To carry out these missions, it has various numismatical pieces which were the money in circulation in the Argentine territory. 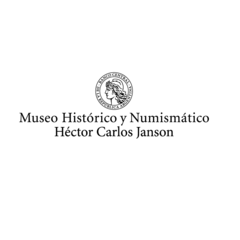 The collections are made of those elements that enable bartering goods in pre-Colombian times such as cocoa beans, sea shells or copper hatchets, as well as the gold and silver coins which were minted during the times of colonialism in the Río de la Plata territory. They are completed by the first patriotic coins, provincial issues from the 19th century and national currency issued by the Currency Board (1890-1935) and by the Central Bank from 1935 until the present.